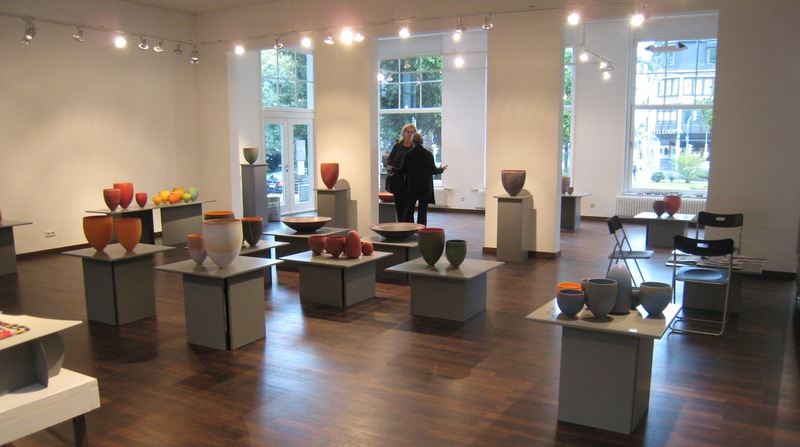 Galerie Heller in Heidelberg, Germany 2010. 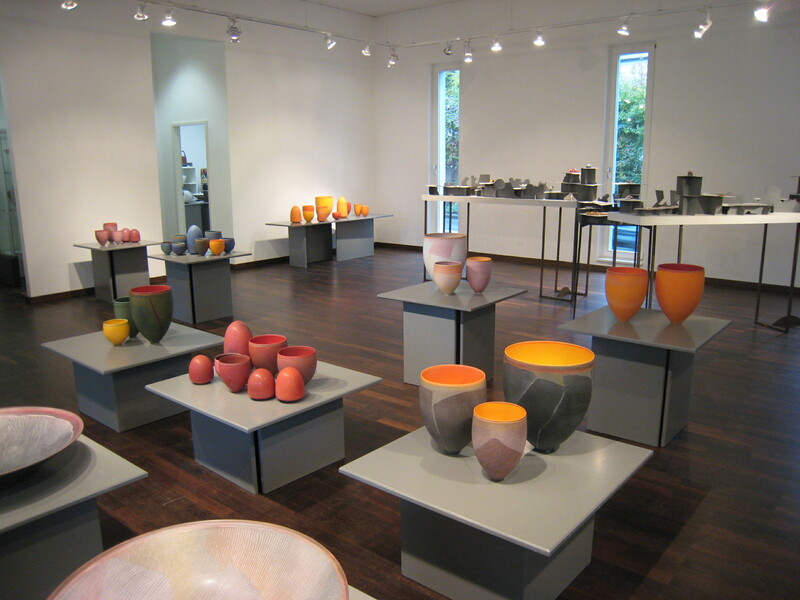 An exhibition of pots by Australian Pip Drysdale is around an Australian landscape theme. Run by Marianne Heller, the space is large, in a former restaurant and stands alone in a small park area on the edge of the commercial and shopping area in Heidelberg.